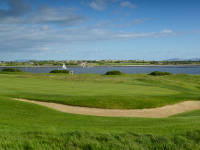 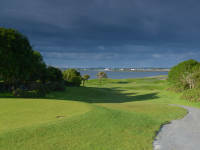 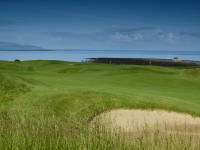 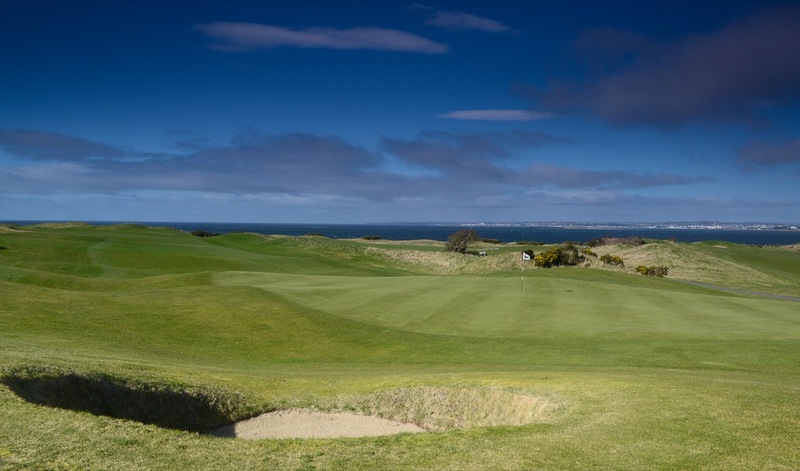 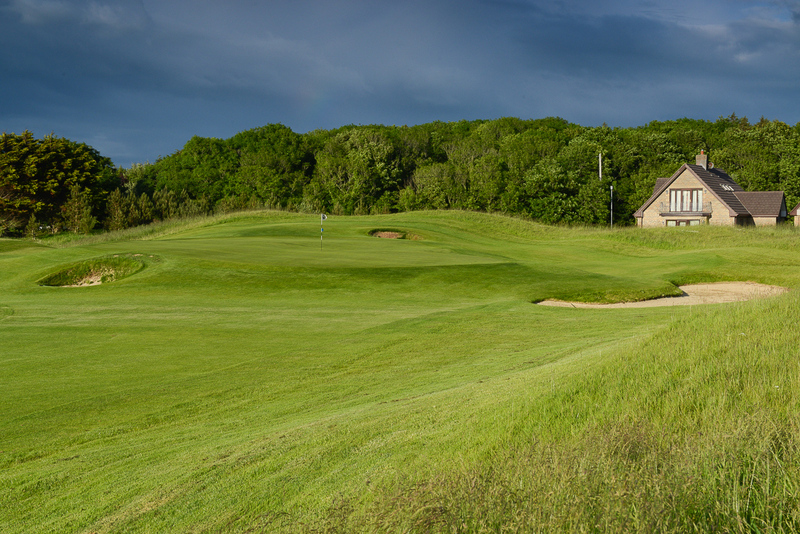 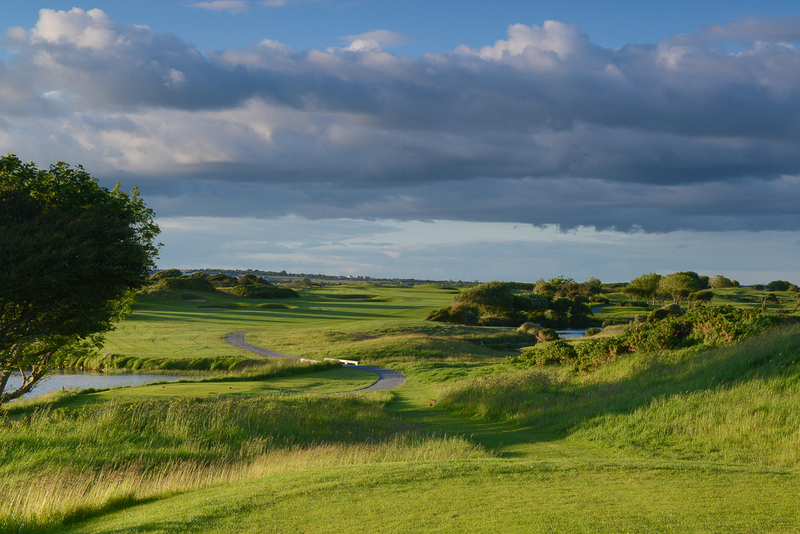 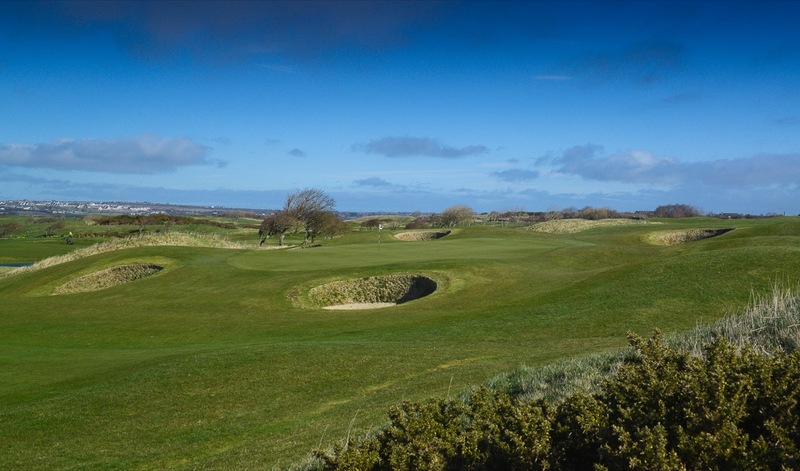 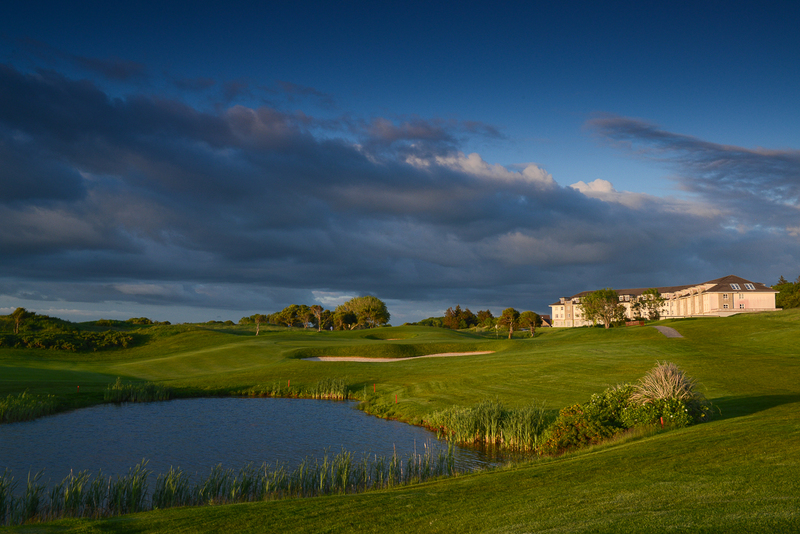 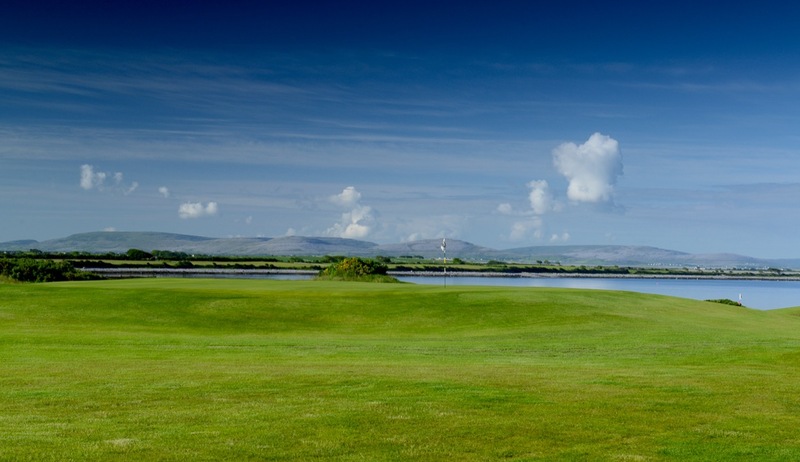 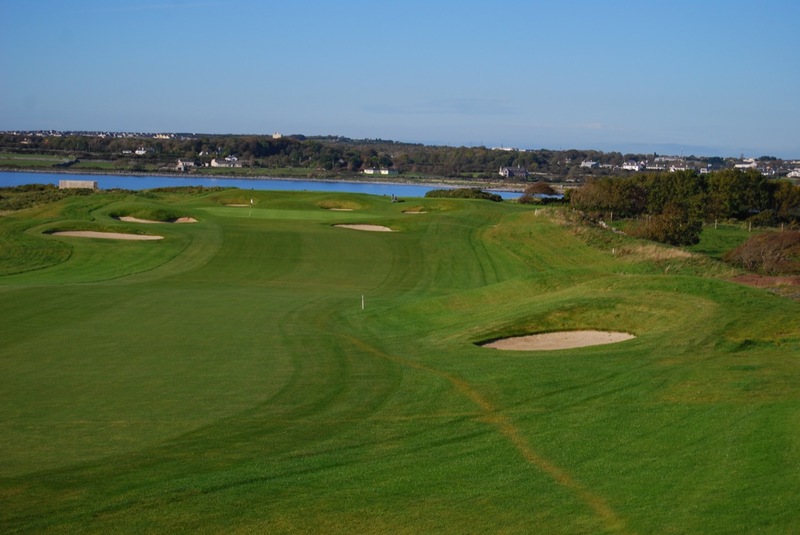 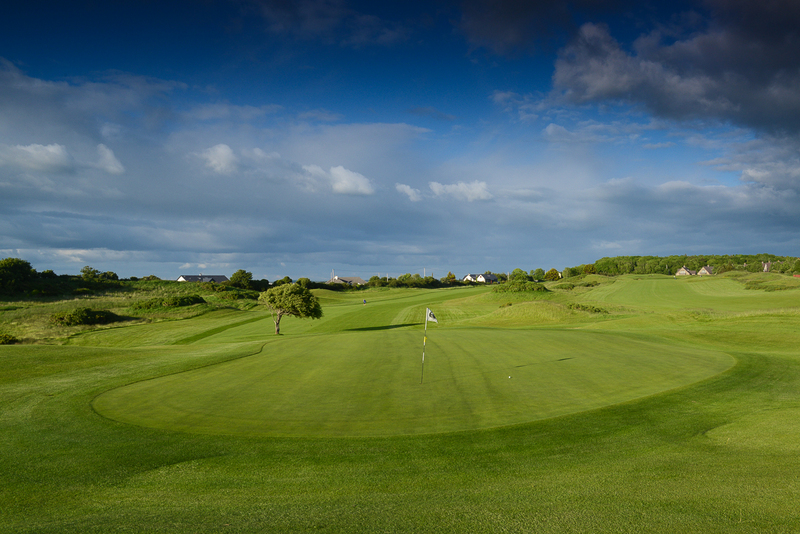 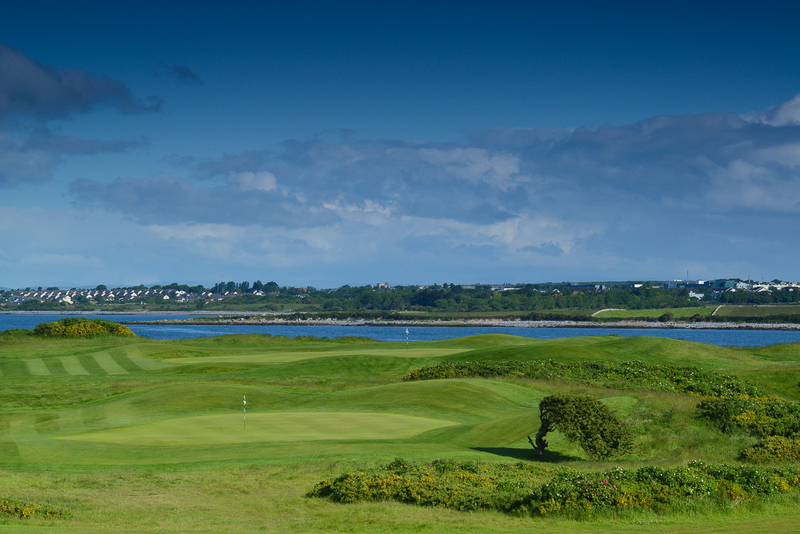 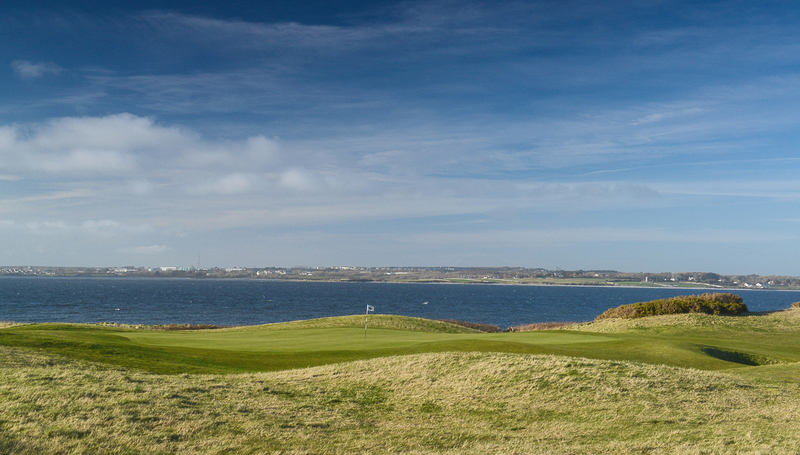 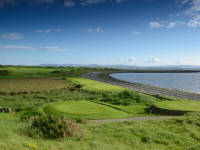 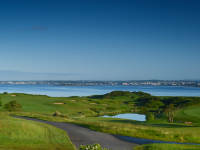 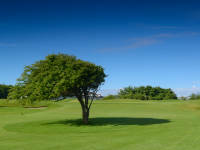 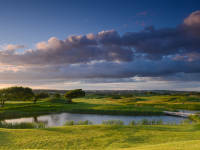 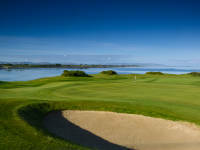 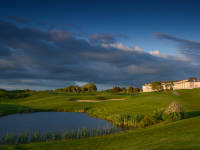 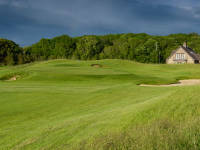 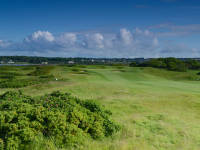 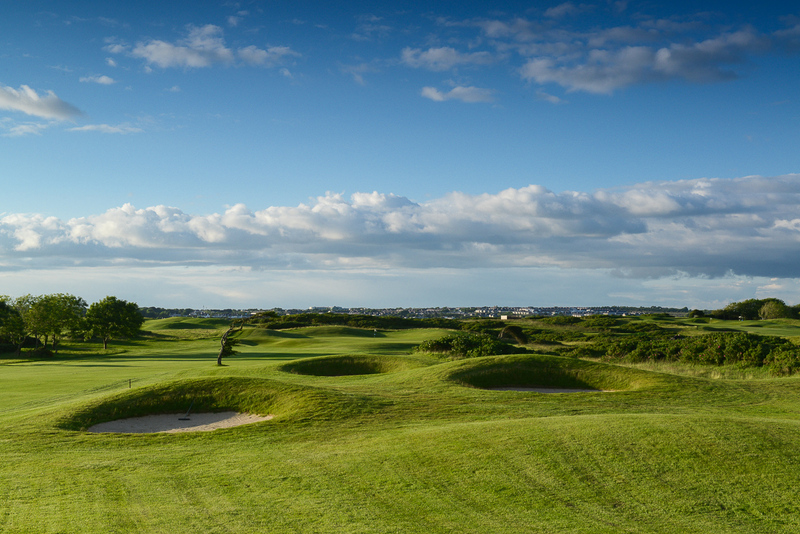 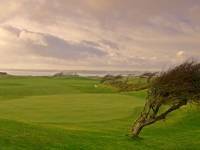 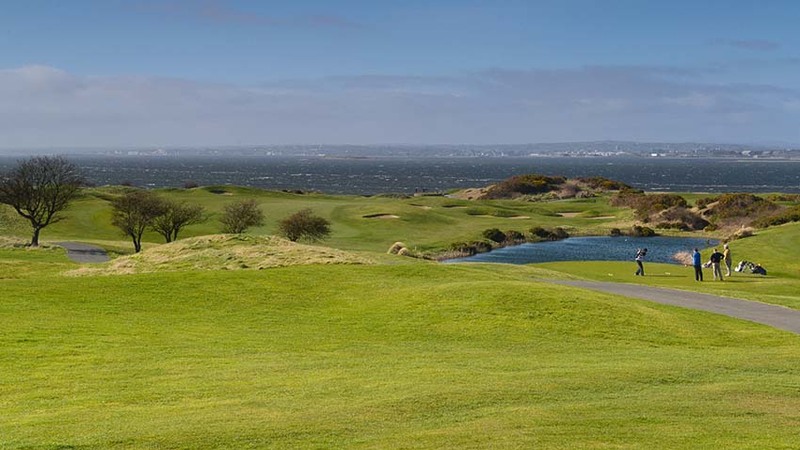 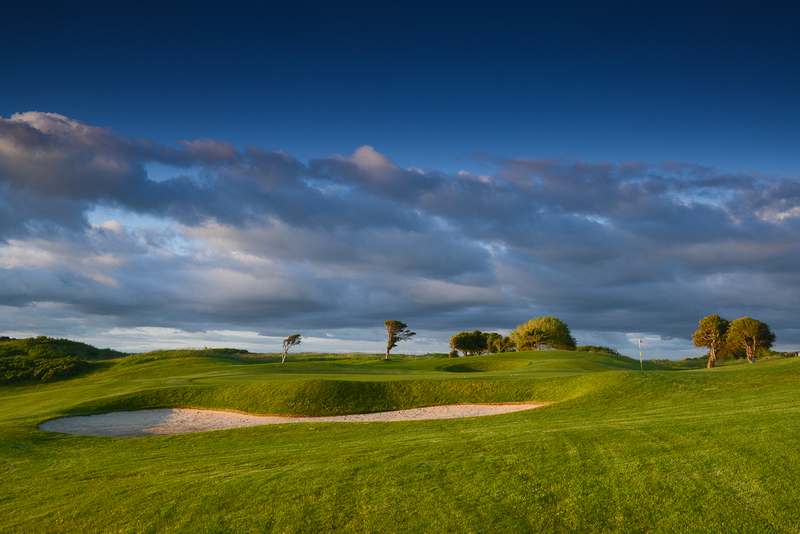 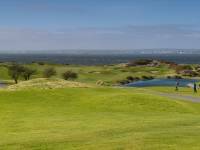 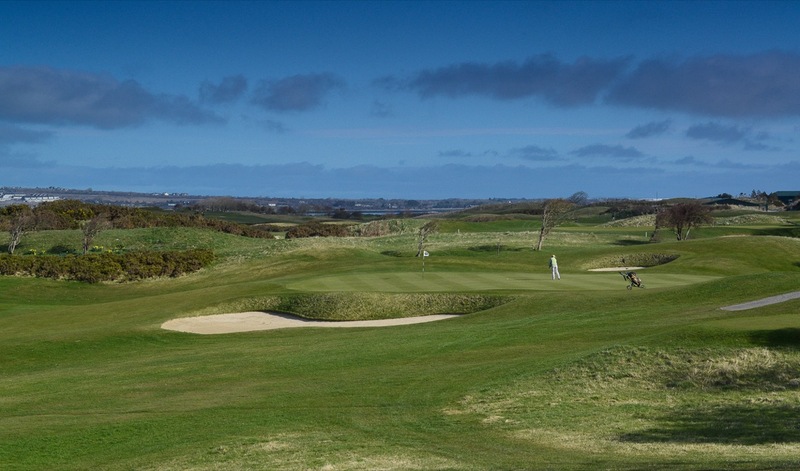 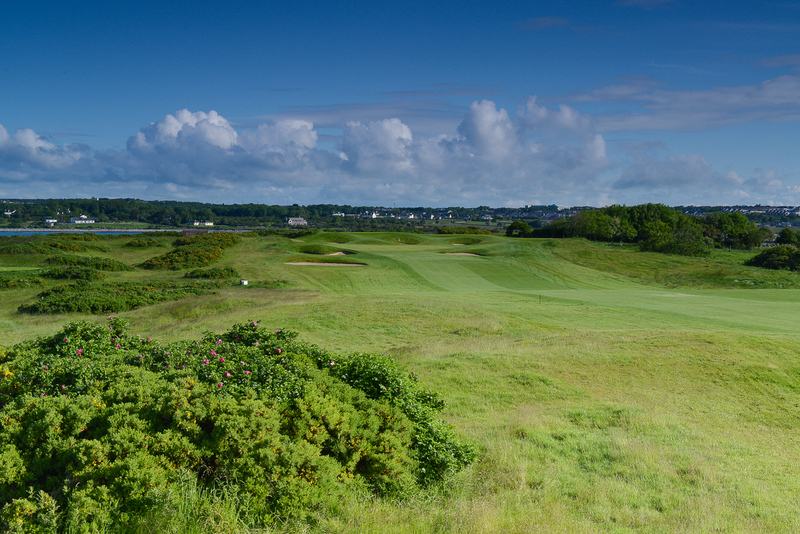 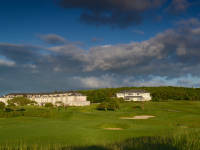 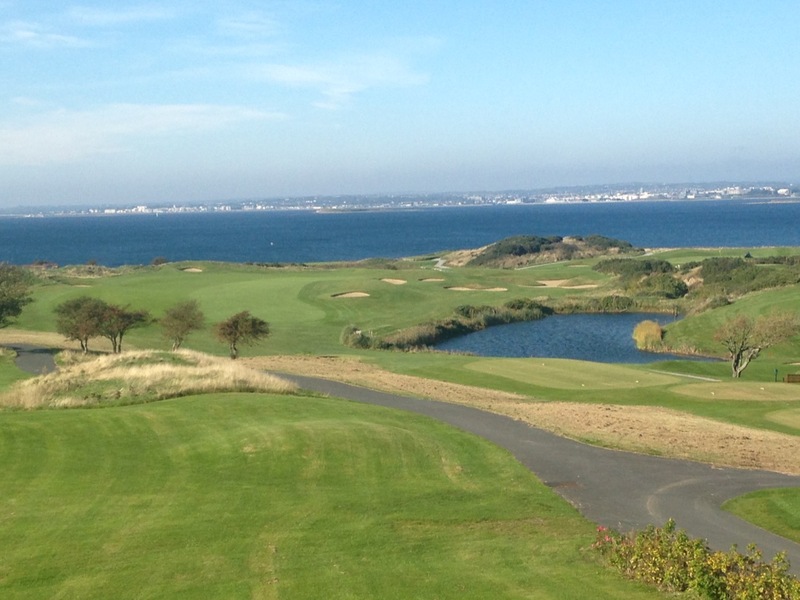 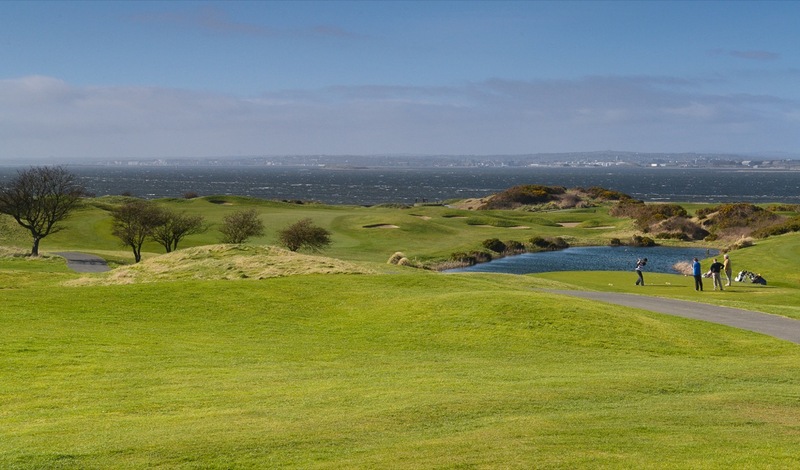 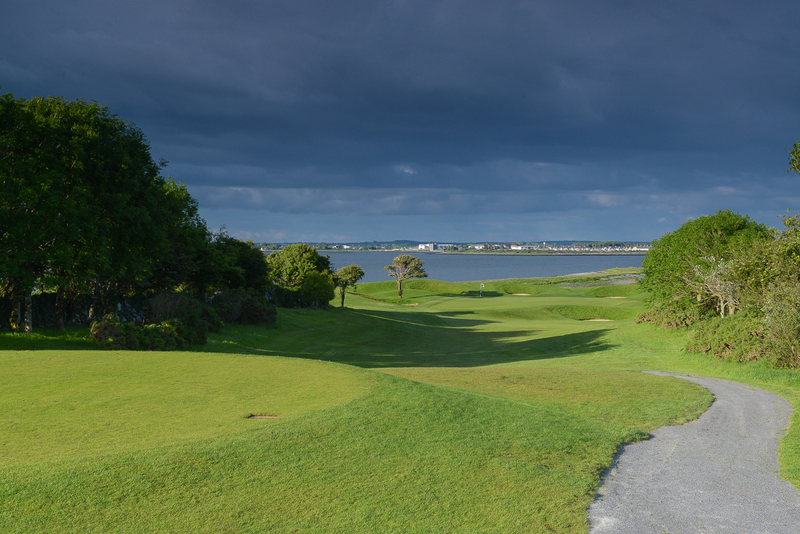 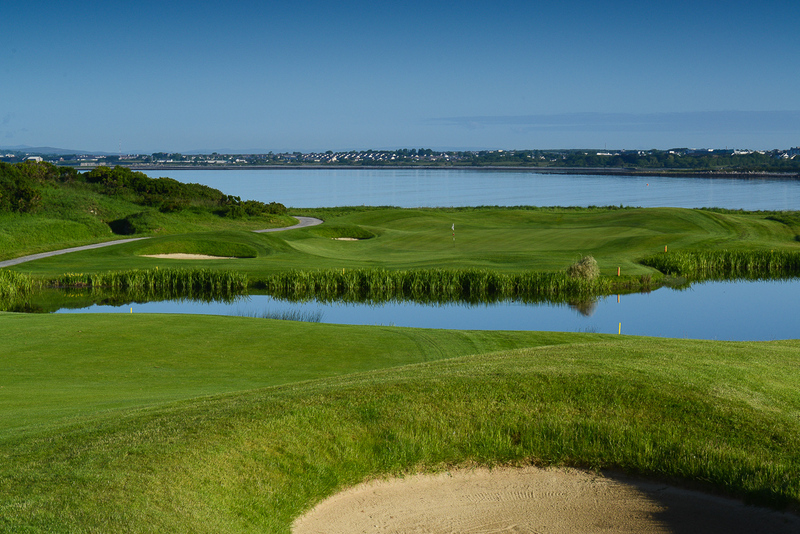 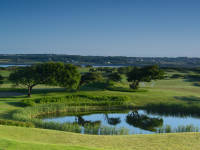 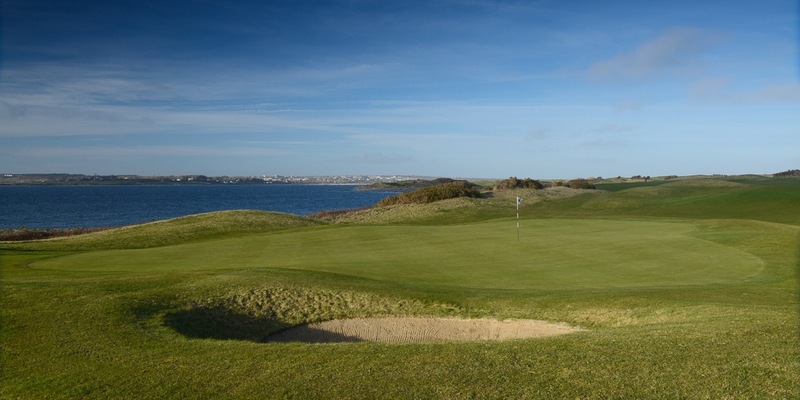 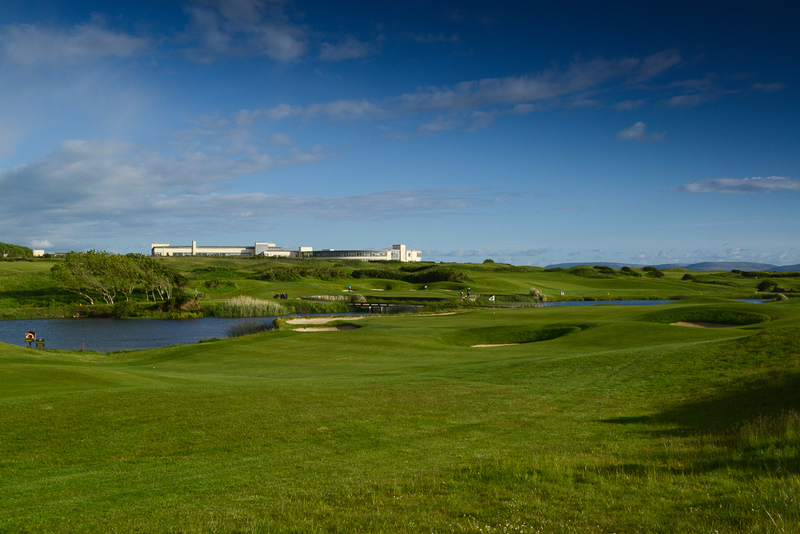 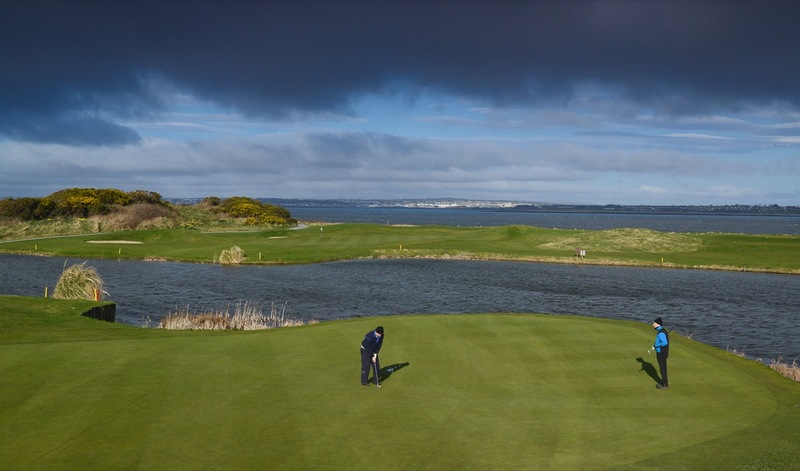 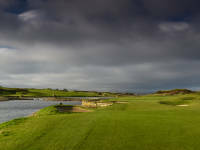 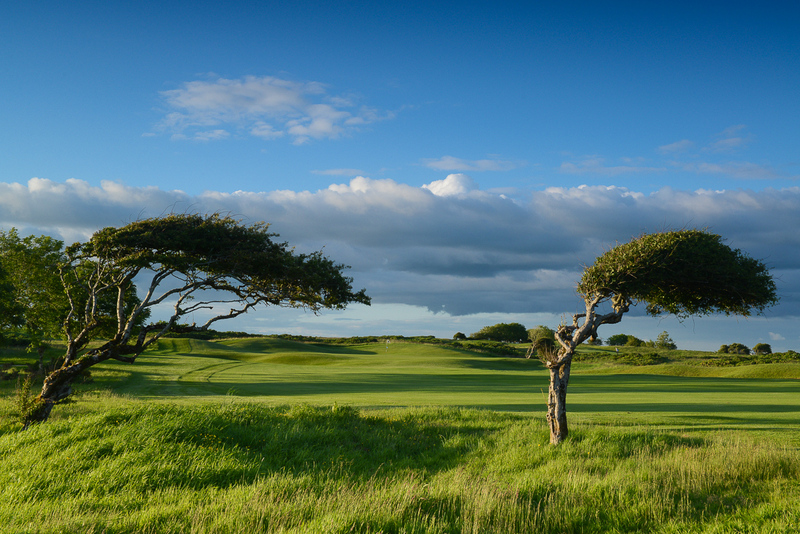 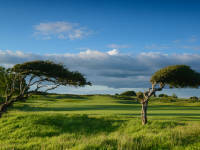 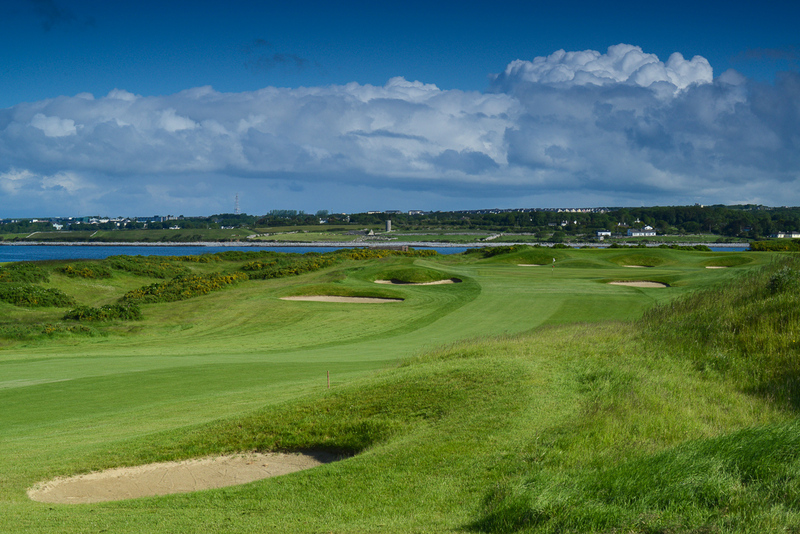 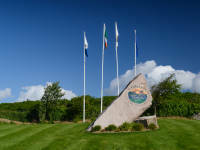 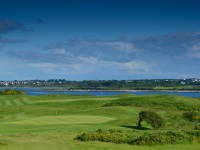 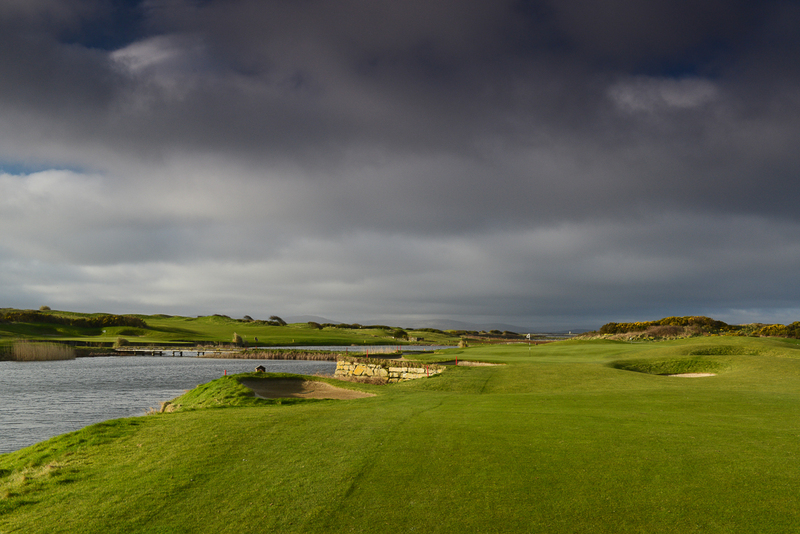 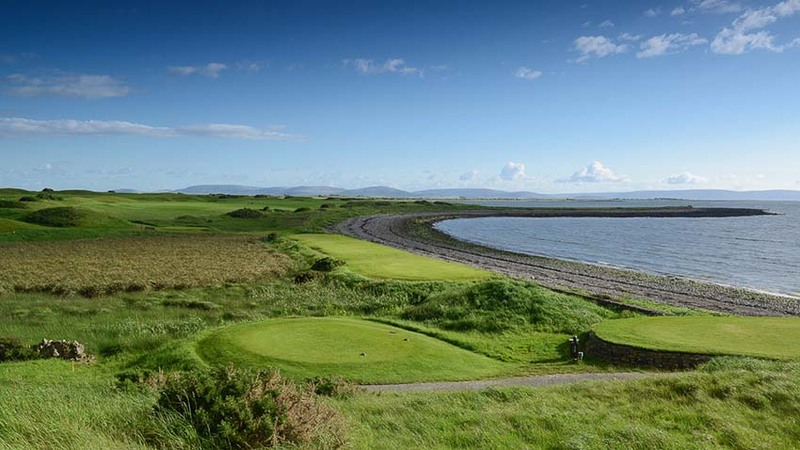 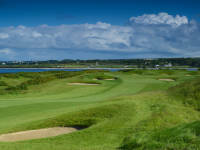 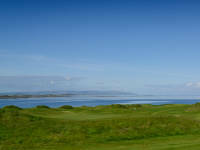 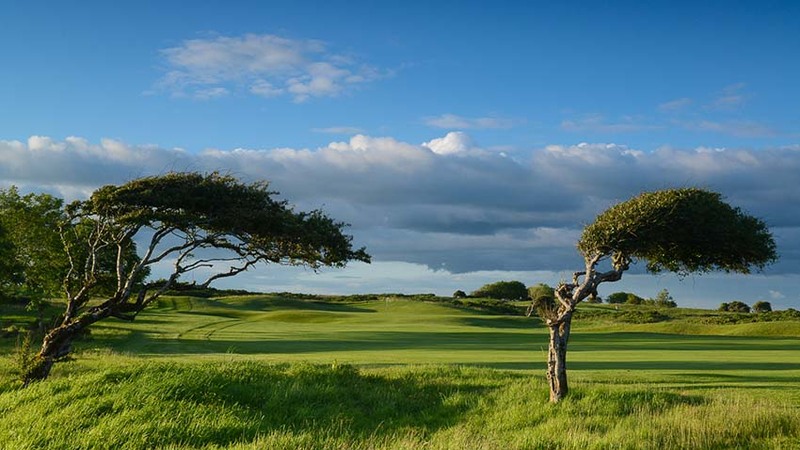 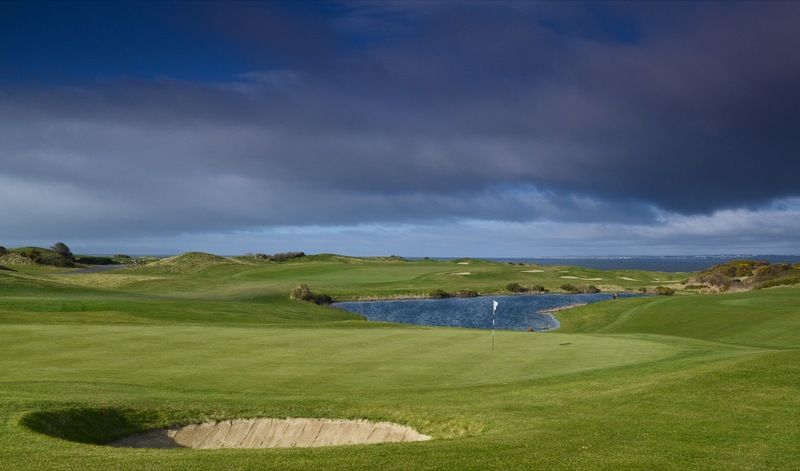 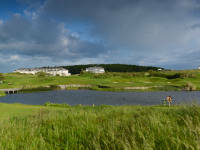 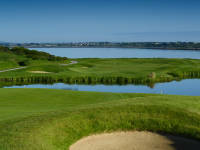 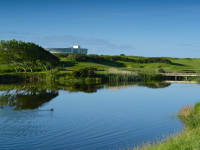 The most under-publicized championship golf course in Ireland might be the Galway Bay Golf Resort, designed by Irish Ryder Cup hero Christy O’Connor Jr. and located just 9 miles from Galway which is often referred to as Ireland’s favorite city. 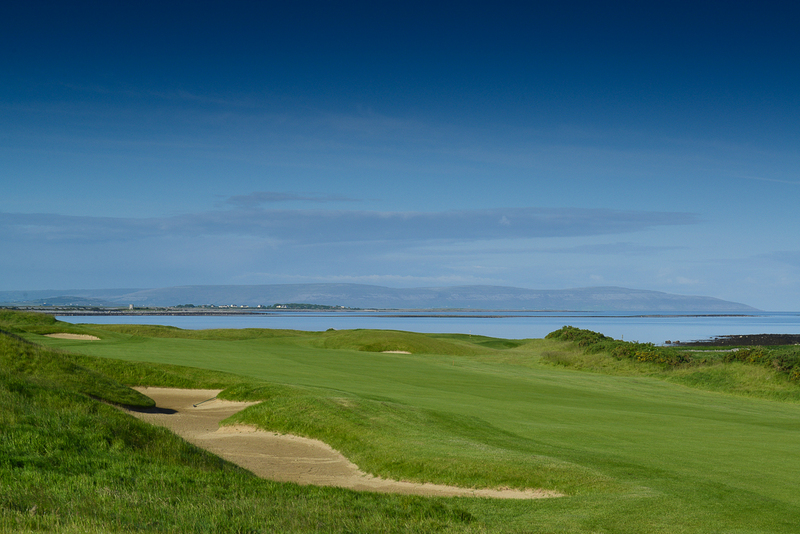 Galway Bay Golf Resort is one of the most photo-worthy courses in the west of Ireland yet virtually nobody we know has ever seen a photo. 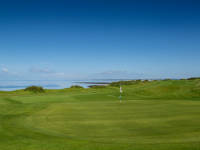 With some help from the great folks at Galway Bay Golf Resort, we have set out to rectify that here and the photos in our Galway Bay Golf Resort gallery which were all provided by the resort (with thanks!) 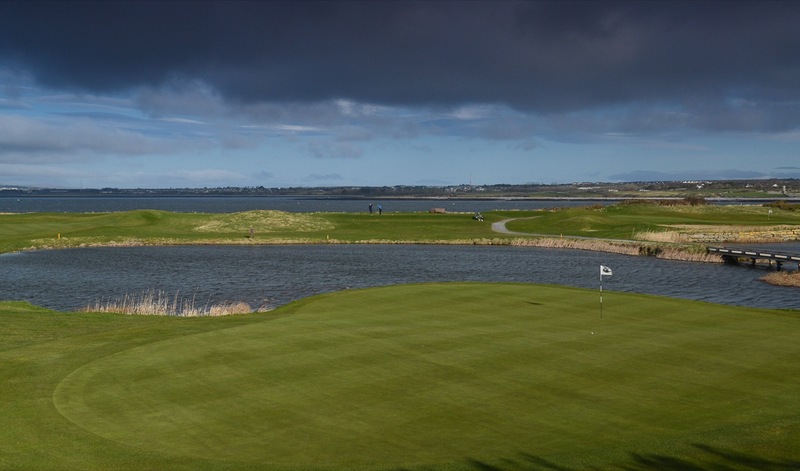 will hopefully go a long way towards getting the word out on just how spectacular a place Galway Bay Golf Resort is to play golf in Ireland. 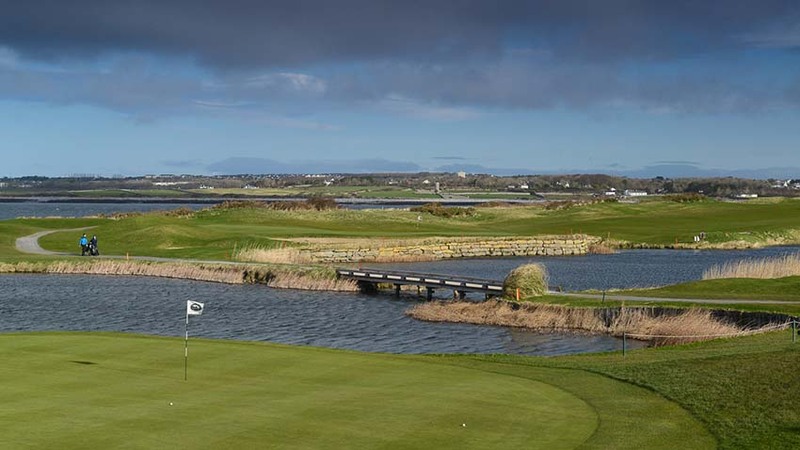 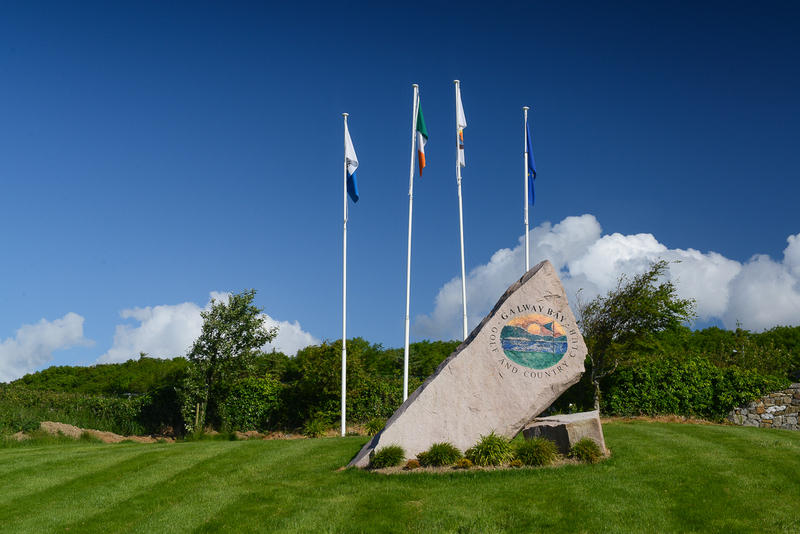 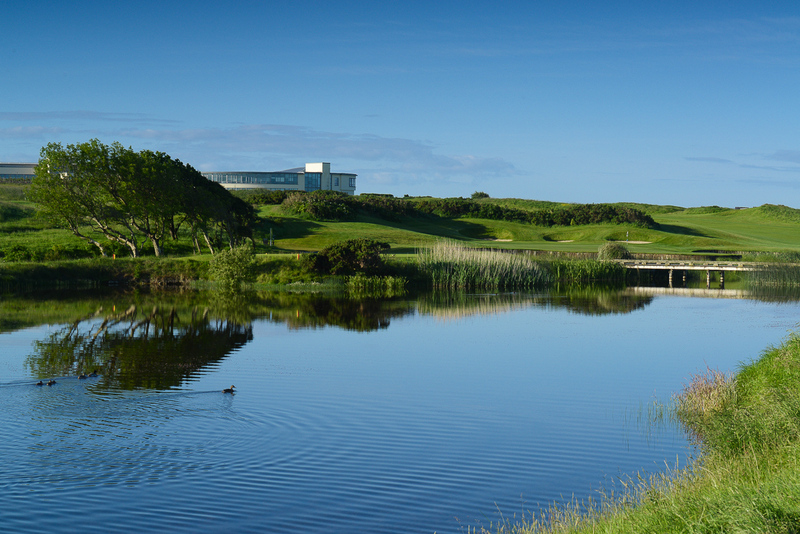 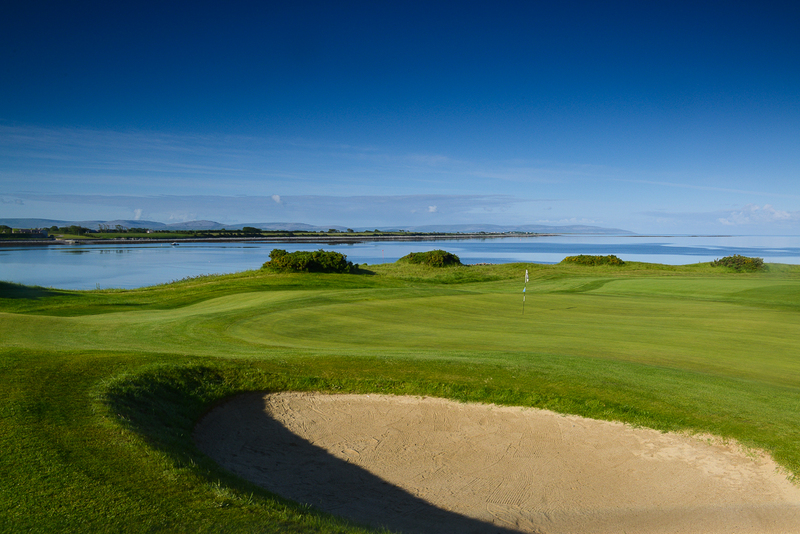 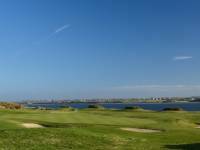 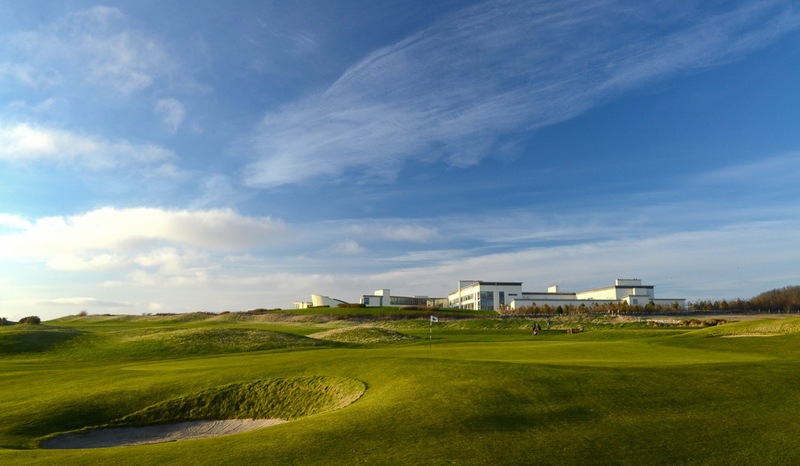 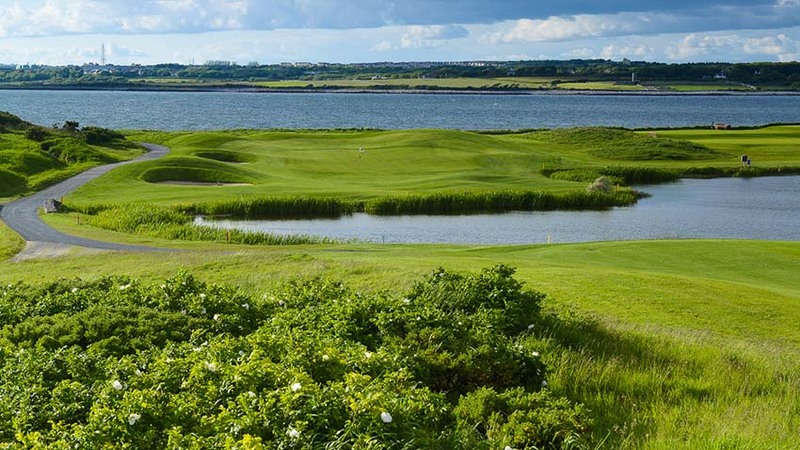 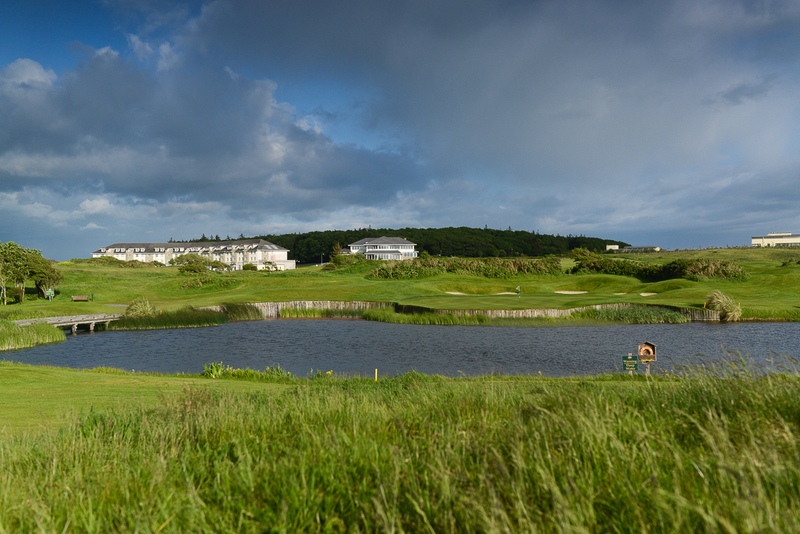 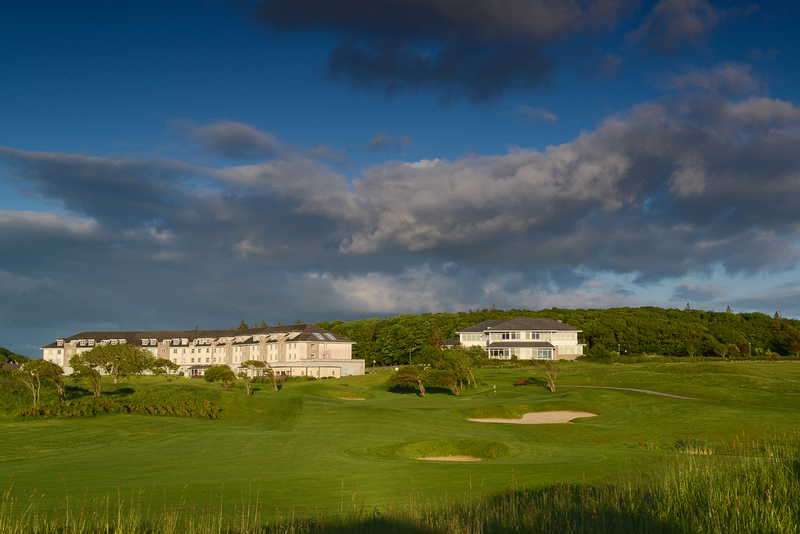 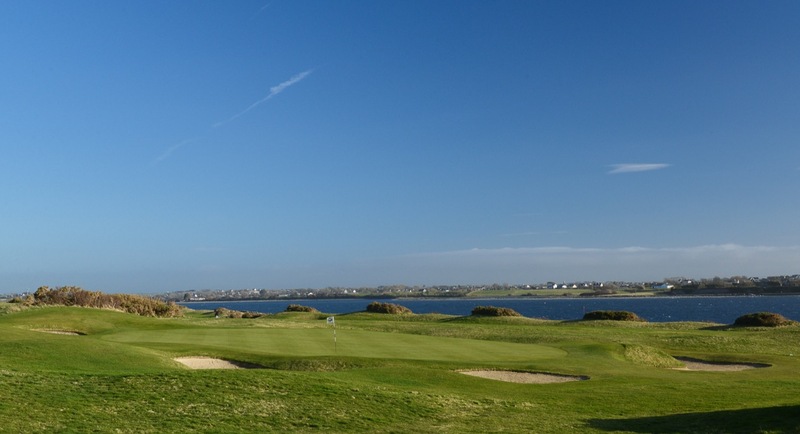 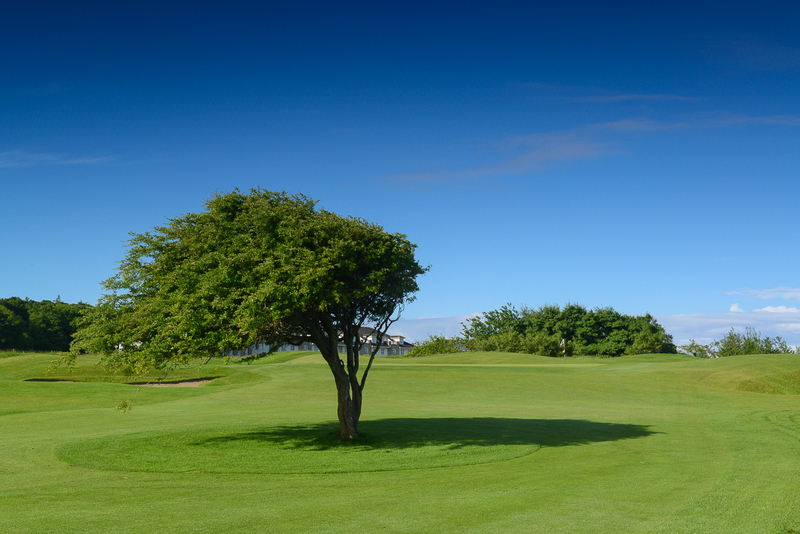 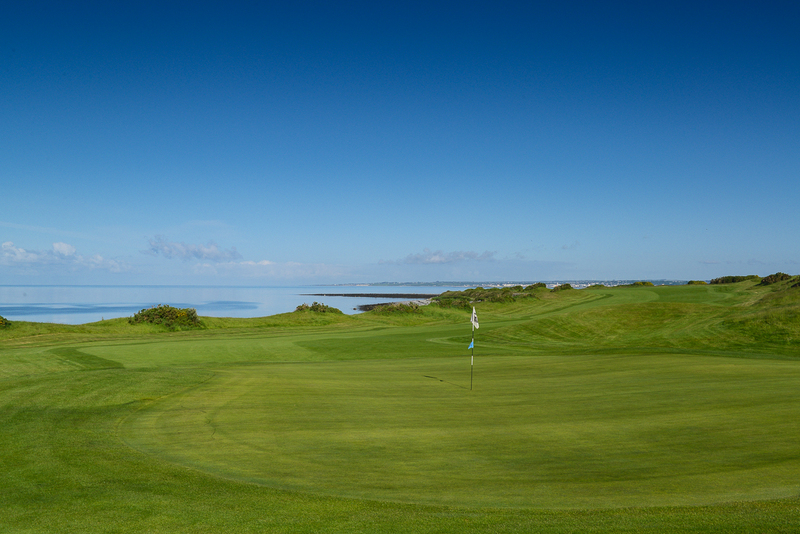 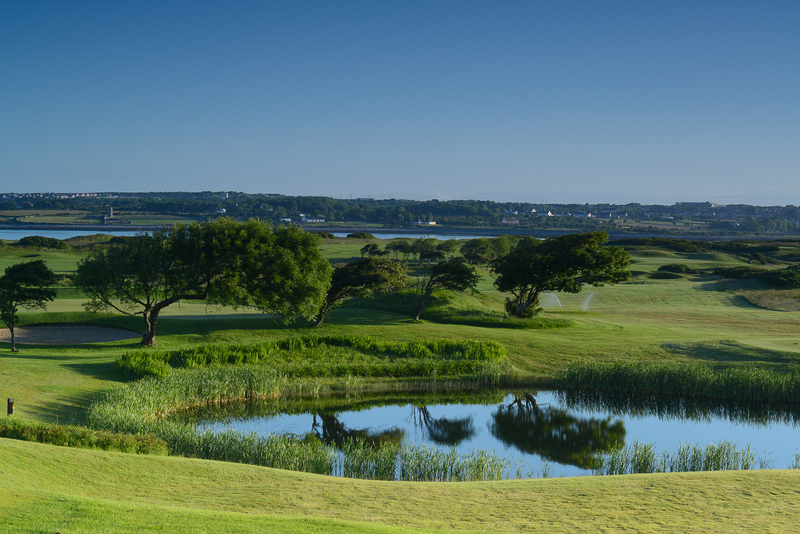 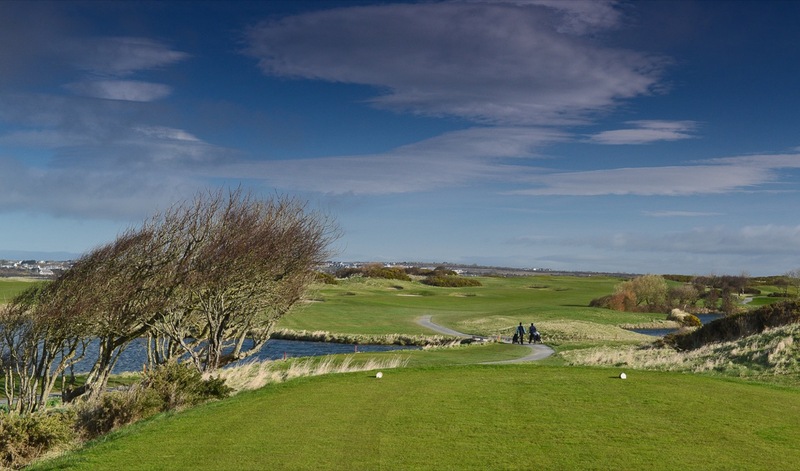 Located on Galway Bay, Galway Bay Golf Resort delivers fantastic sea views throughout the golf course and though more parkland in nature, Galway Bay Golf Resort does have links look to it only in much rich-er shade of green, and how appropriate for the Emerald Isle! 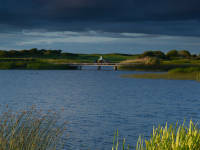 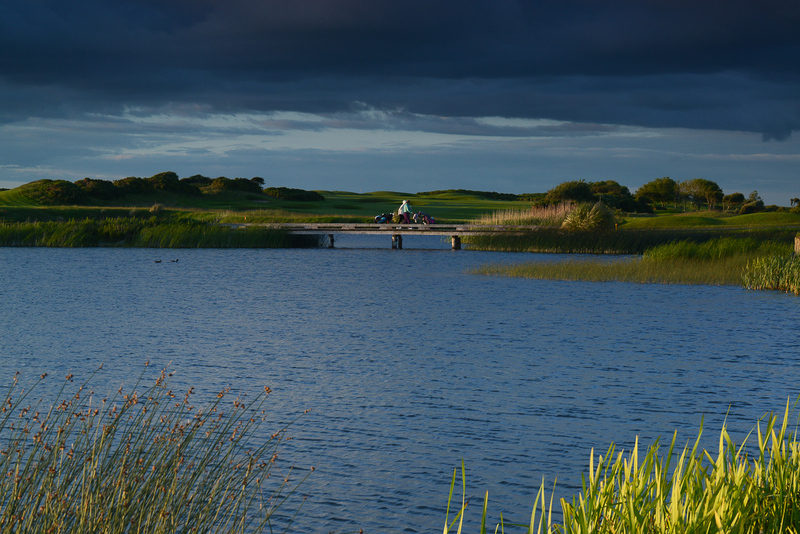 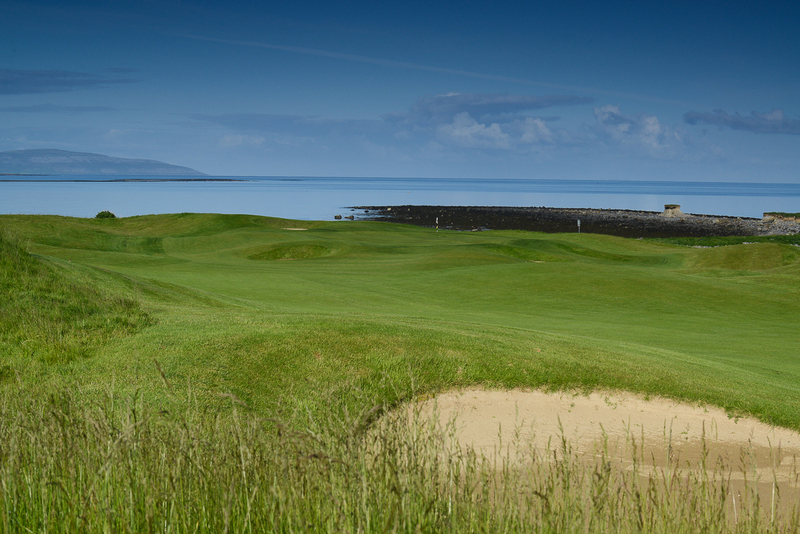 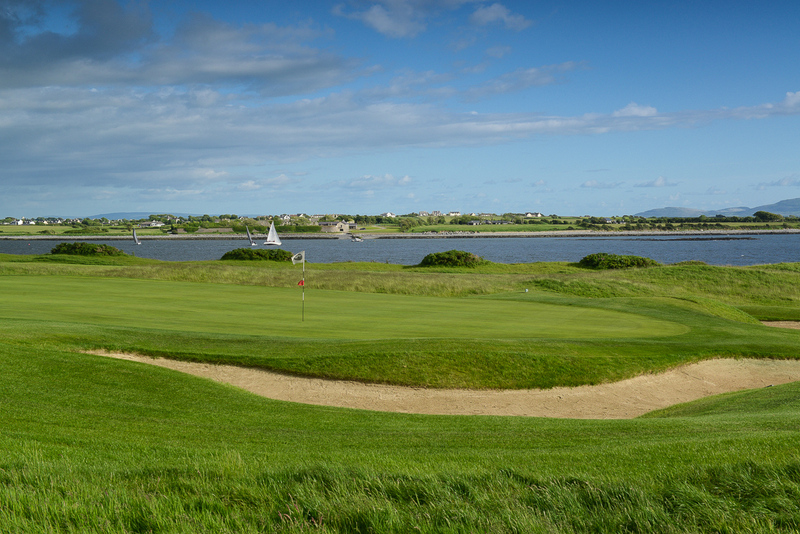 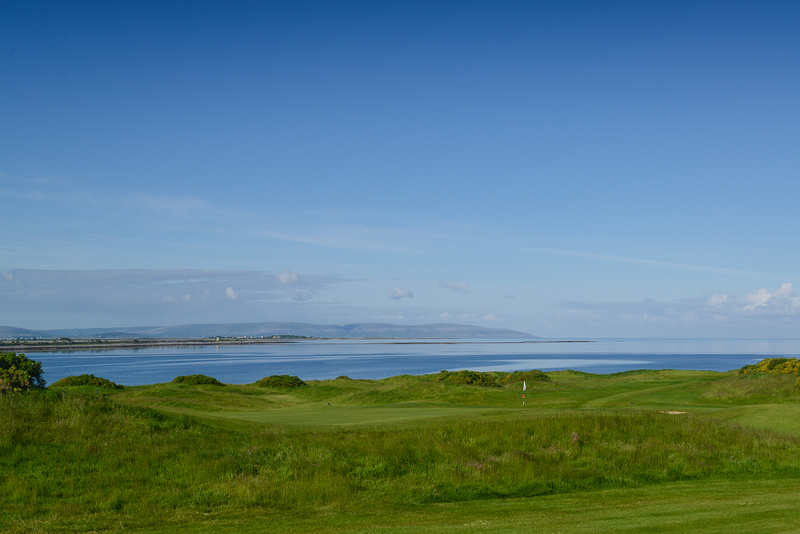 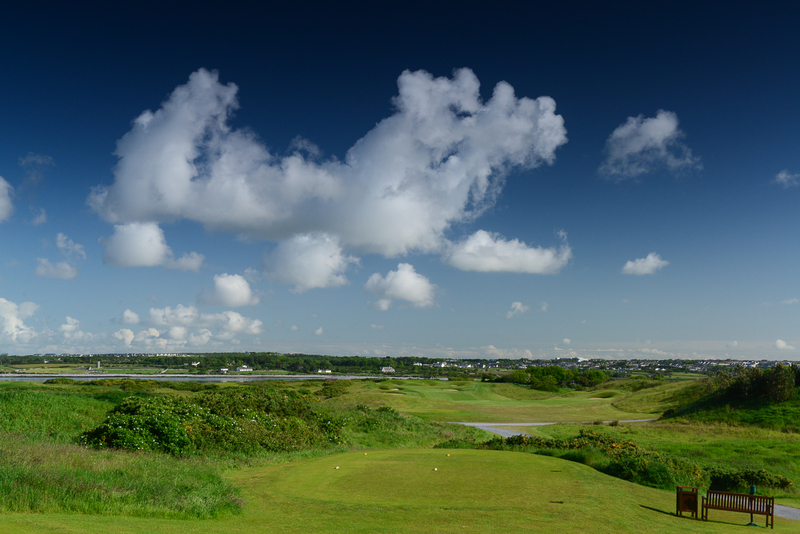 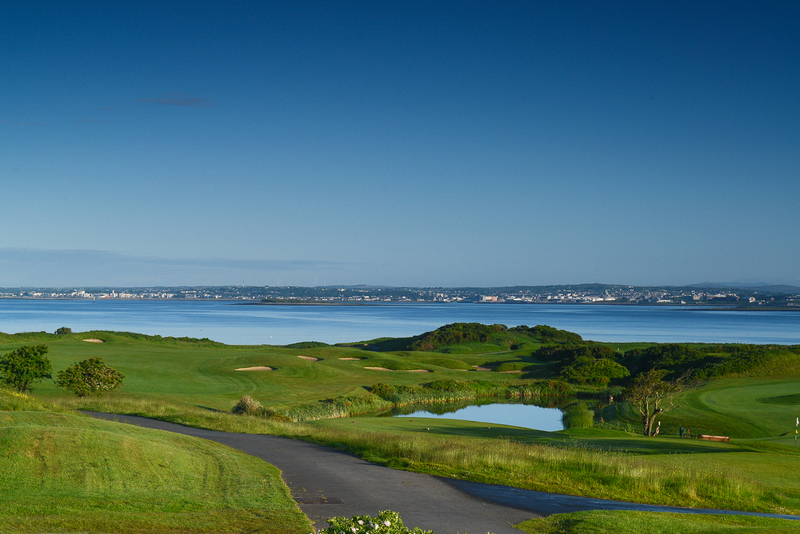 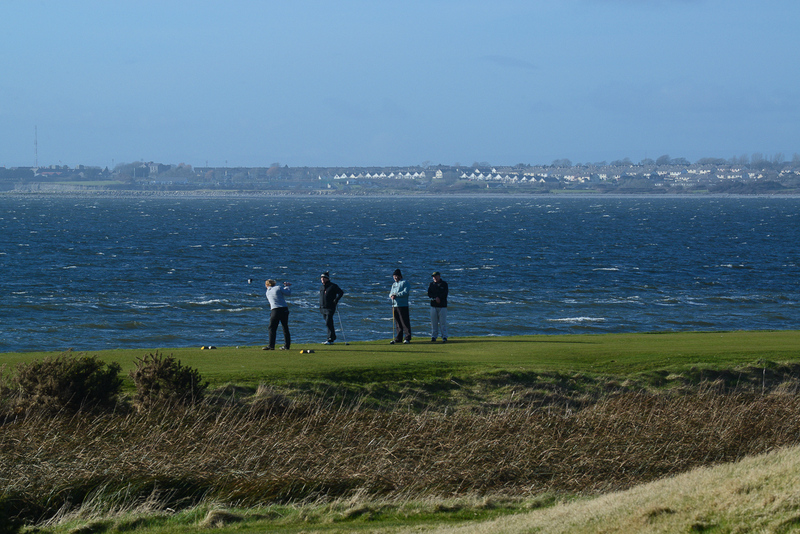 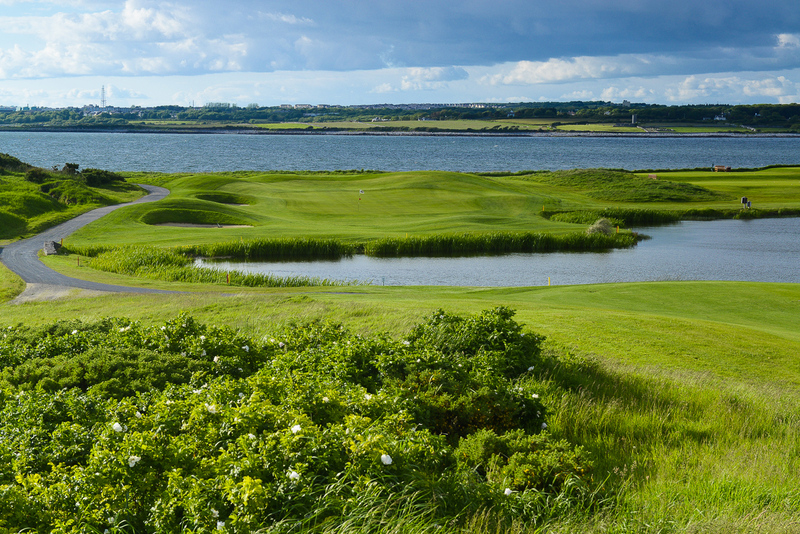 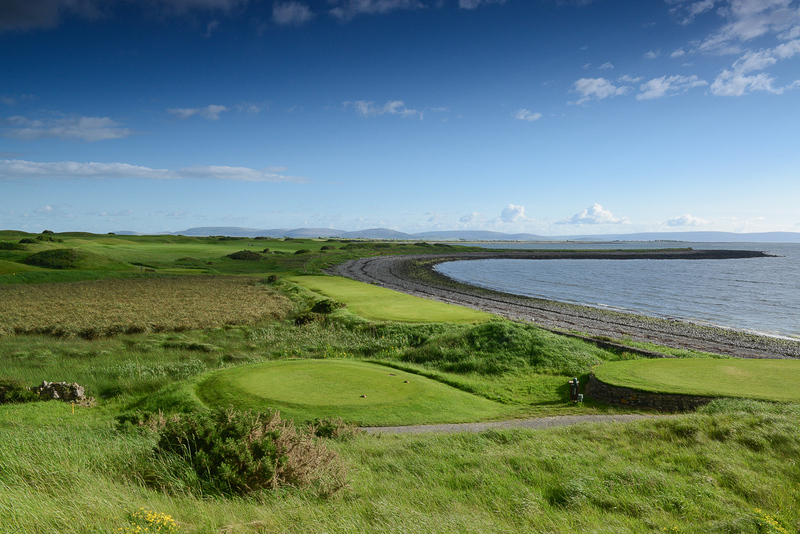 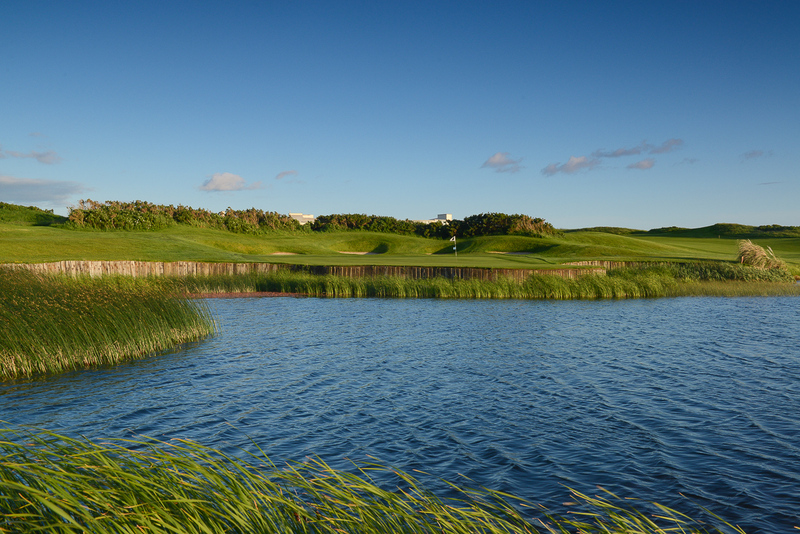 Galway Bay also includes some beautiful natural lakes for something a bit different on a seaside Irish course. 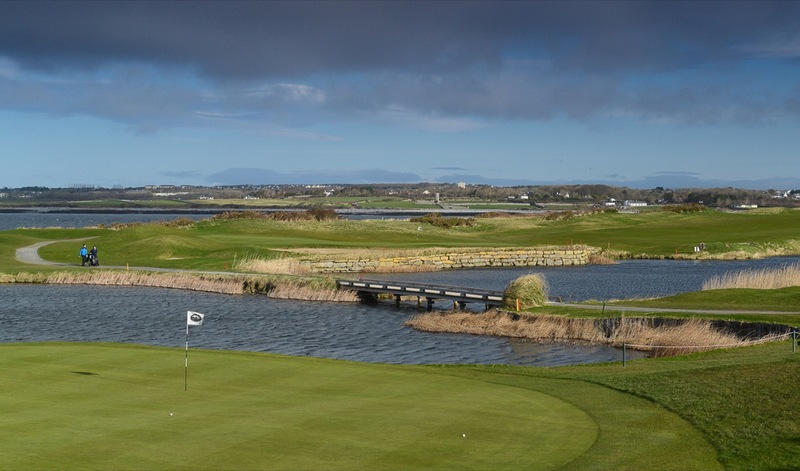 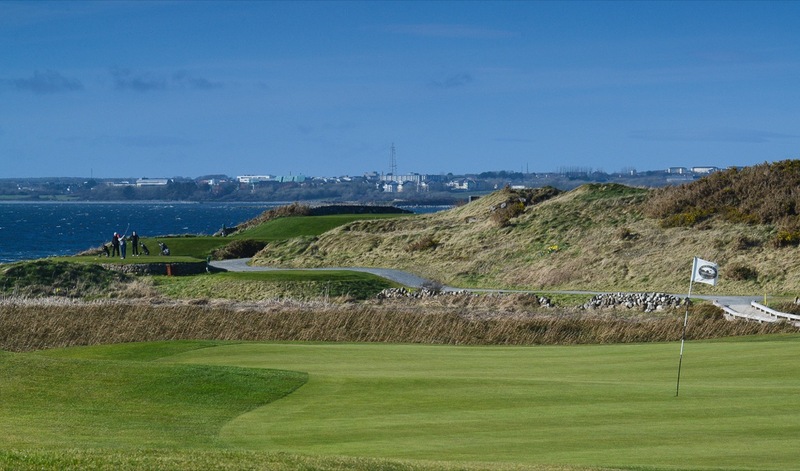 Many visiting golfers to Ireland would love to include Galway in their tour because they have heard so much about the “city of the tribes” but don’t do so because they don’t know that there is a worthy golf experience to go along with it. 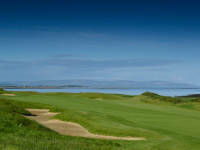 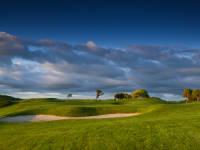 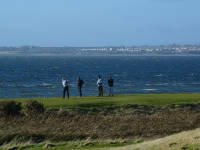 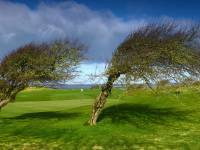 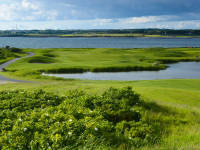 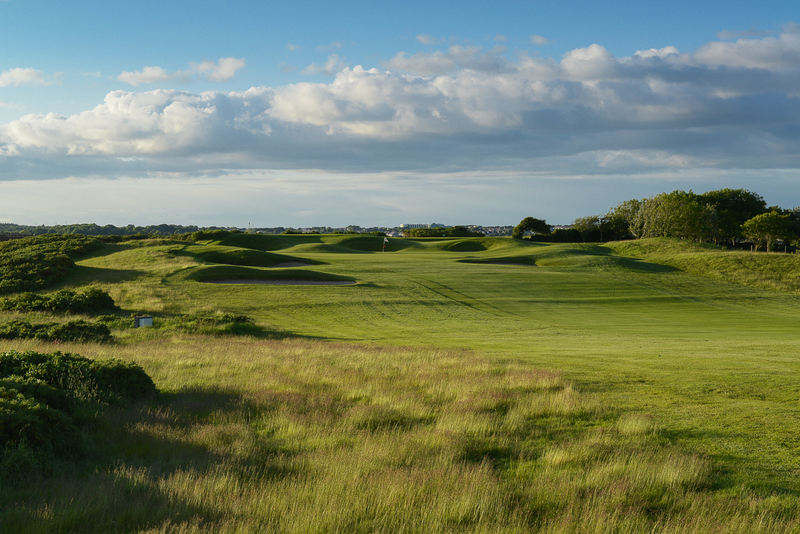 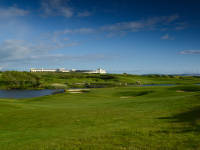 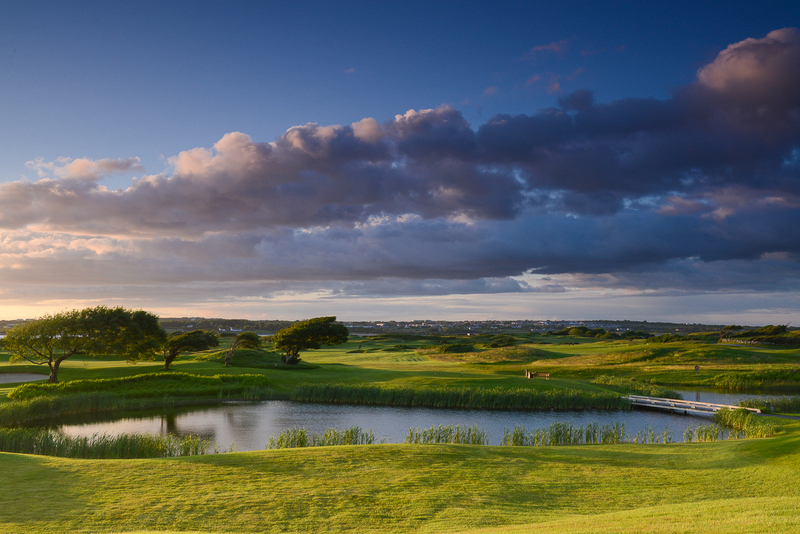 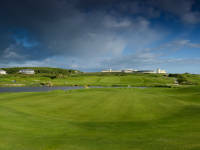 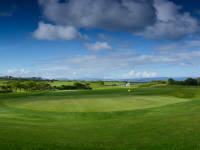 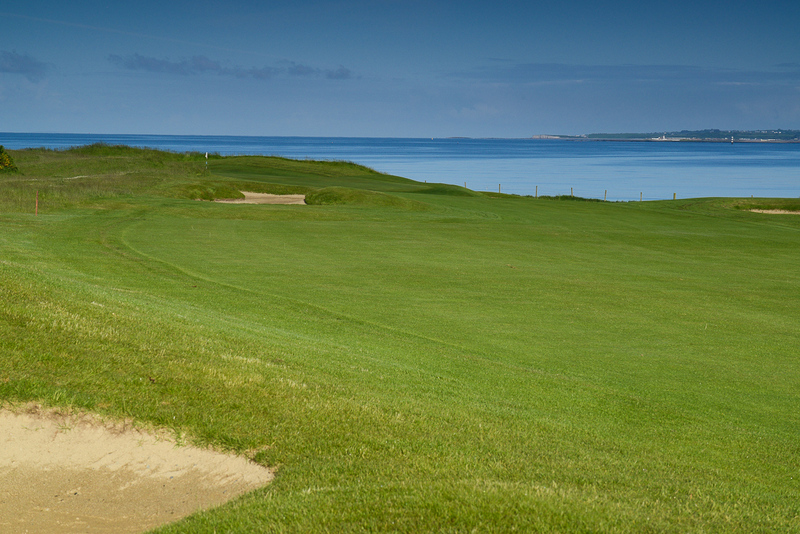 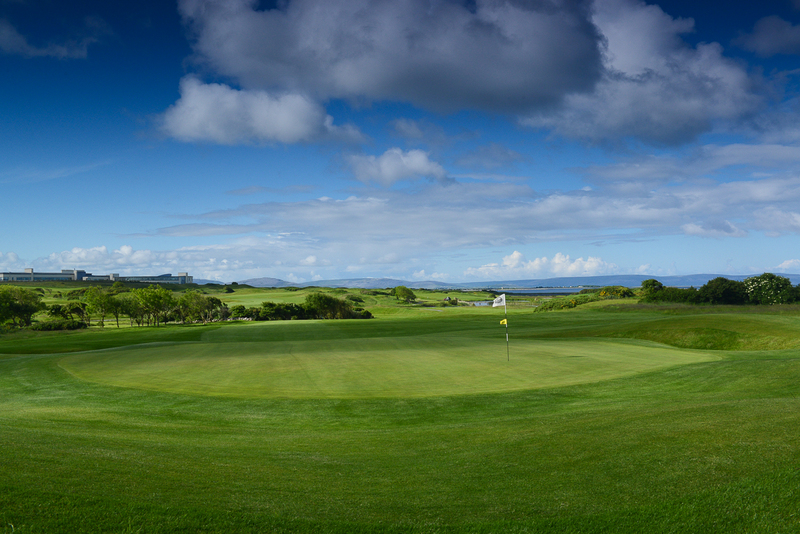 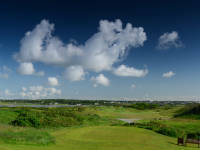 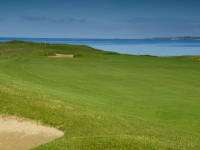 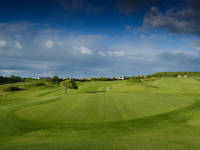 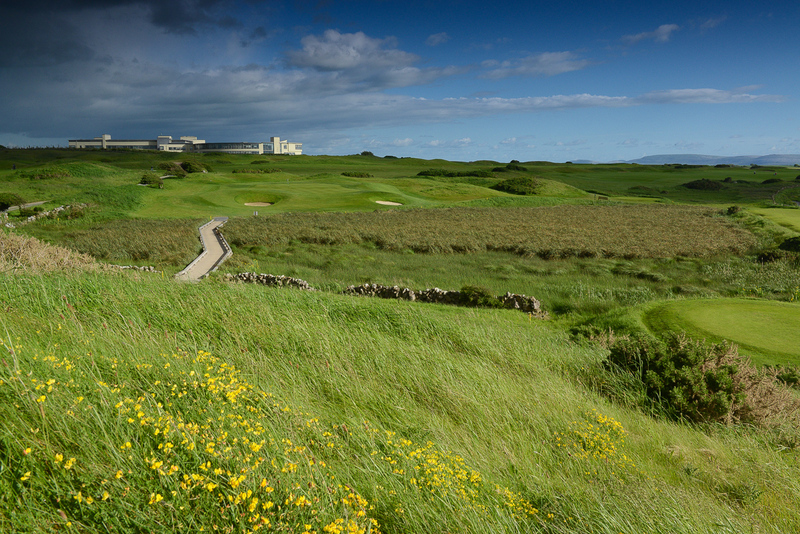 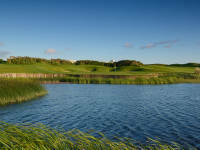 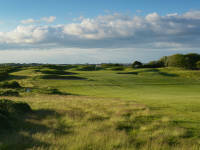 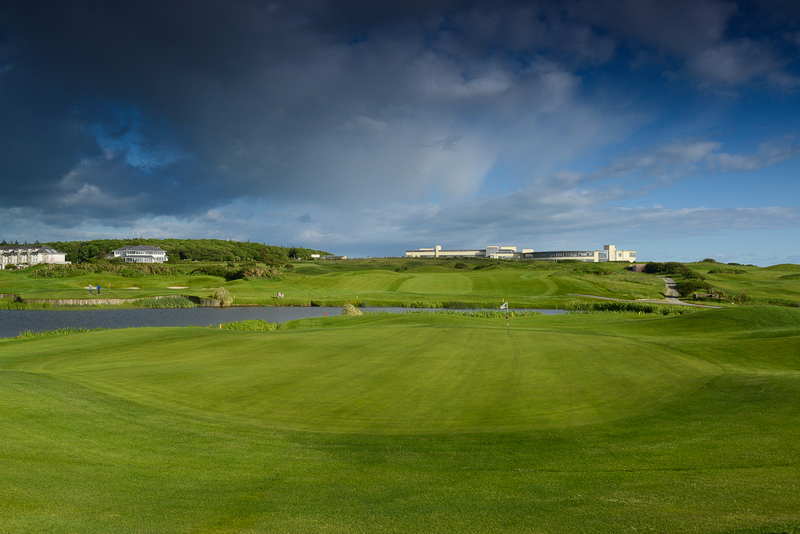 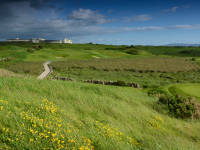 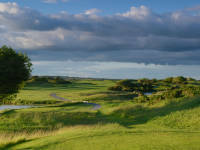 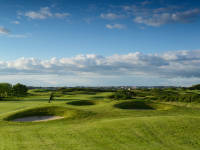 Galway Bay Golf Resort is that experience!